The American population is becoming increasingly older. The American population is becoming increasingly overweight. First, some numbers about aging. In 2015, 22.6% of the workforce was above the age of 55. 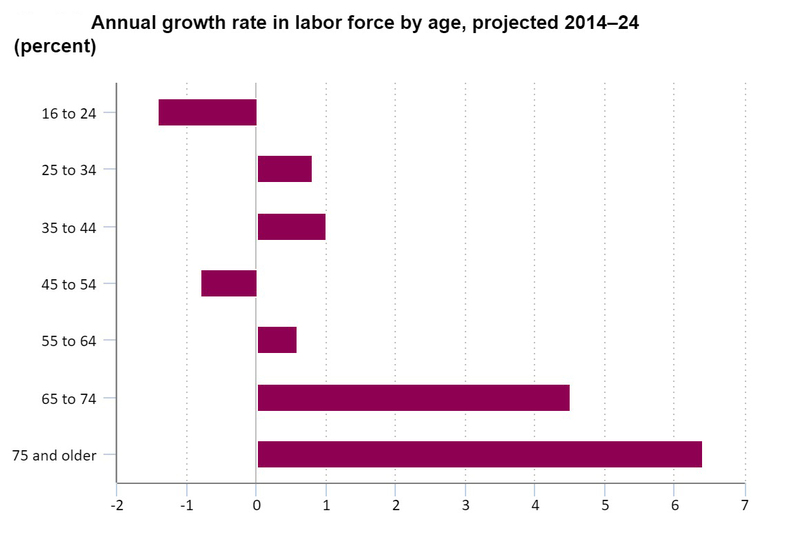 By 2024, that will increase to about ¼ of the workforce. According to the AARP, 80% of baby boomers plan on working past retirement age. Many cannot afford to lose a steady source of income. Others enjoy the work they do; being employed provides a sense of fulfillment. But muscle strength, coordination and balance decline as age increases. So when an aging workforce meets any form of material handling, injury incidents are often not far away. Next, statistics show us that 34% of the US population is within or below a healthy weight range. If we do the math, we find that 66% – two-thirds – of the population is overweight, and some are dangerously so. As weight increases, so does girth. Here’s the issue: overweight individuals must lift their own additional weight as well as the load in front of them. And they must factor in – and work around – a larger physical body, further compromising balance and stability. These age- and weight-related statistics are faithfully represented in our workforce. We can’t reverse aging. We can’t put the nation on a crash diet that solves the overweight issue in time to make any sort of real and immediate difference. And no, we can’t eradicate lifting. Together, aging and being overweight combine to form the straw that breaks the back of the proverbial camel. Fortunately for our proverbial camel (and its poor back), there are solutions. Here are 3 of them that empower companies to protect all their employees from material handling injuries. And that includes those among us who are either aging, or overweight, or both. Train our employees in a lifting technique that they will actually use. It’s true that a squat-lift, which is the traditional method taught in material handling, is better than a back lift. But did you know that the squat-lift is actually seldom used? Why? Because a shoulder-width stance and a deep-knee bend are inherently unstable and painful. The instability and pain in the knees are magnified when the individual is either older, overweight, or both. Which means most people forget the squat-lift and wind up lifting with their backs, despite the known dangers and against their training. In contrast, PowerLift provides a more natural, much wider stance – as much as twice the width of the shoulders – like the stance of a sumo wrestler. Ever tried to push one of them over? It ain’t happening. Because… physics: The wider the base, the greater the stability. Physical strength no longer gets diverted to maintaining balance. More power is available for lifting, reducing the chance for injury to happen. The PowerLift technique works with the human body intuitively and naturally. And the training encourages and empowers employees to be safe. So it sticks, regardless of circumstance. Take the training out of the classroom, and put it on the job. Seriously, when it comes to life-skills, the classroom is a tiny component. Really tiny. The vast majority of life skills happen in life, as lived. And a healthy, safe lifting life skill like PowerLift is mostly taught where the worker is: at their work station, where the real-life lifting happens. Trainers teach employees the PowerLift techniques. Employees then train and coach each other. Individual solutions to lifting challenges are then generated and provided on the job, by the employees, with support from their trainers and coaches. This not only customizes the training for the employee, it personalizes it. The technique is adaptable for each and every individual. The effort is collaborative. The result is ownership of the method, and ultimately a substantial reduction in workplace material-handling injuries. And people like the PowerLift system. Anecdotal evidence shows that people who are older and heavier are far more receptive to PowerLift than other lifting methods. Because it works for them where they are. Sustain the training and standards over time. One-and-done trainings may be great for some things. Safe lifting isn’t one of them. Effectively maintaining safe lifting standards in the workplace means making them a part of the company culture. 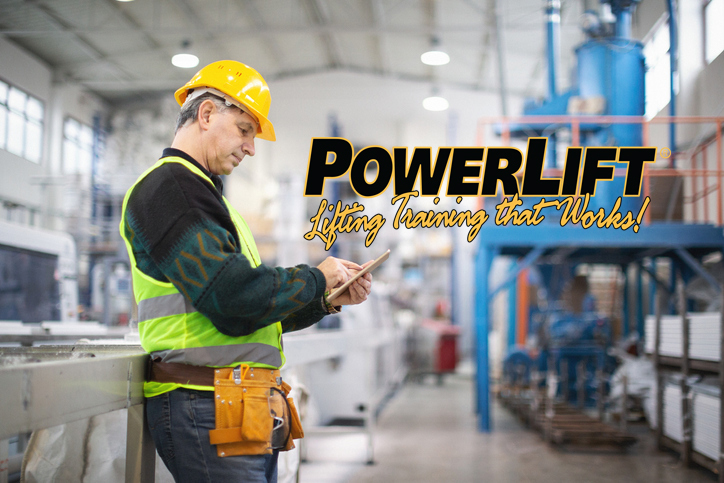 PowerLift goes beyond the realm of ‘programs.’ Instead, it’s a structure for material handling safety that includes safety talks, peer-coaching, and personalized solutions to material handling challenges. It becomes a safe-lifting habit. And the benefits don’t end when the employee punches out, either. Many PowerLift users report experiencing great results in their personal lives and with people in their lives. Think about it: we still have to lift and carry stuff like groceries, or the trash. And, we may be a parent to a young child or be the caregiver for a disabled parent. All of these activities require bending, reaching and lifting. Companies that introduce and promote healthy, effective lifting systems such as PowerLift report massive reductions in workplace injuries – and a corresponding reduction in resulting costs (both direct and hidden). Personal testimonies from individuals within those companies speak of breakthroughs in life both on and off the clock. Because lifting doesn’t stop when we clock out. Life goes on, supremely disinterested in the number of candles on our cake, or the number of inches around our midsection, or the kilograms/pounds on the bathroom scale readout. PowerLift is a skill that employees get on the job. It just happens to work in life in general. A company that cares enough to institute the PowerLift system is taking positive steps to protect their employees. It’s a win-win on so many levels. Wouldn’t it be awesome if that could be a New Normal?